Big-Hearted Families Member Audrey shared this adorable photo of her little gardener tending their first family garden. As the last of the snow melted in the spring sun this week, my most reluctant gardener tugged on her shoes asking, "Hey, I wonder if the strawberries are up yet? It's almost berry season." Then she ran off to inspect the berry patch for signs of life. The rhythms of our family garden have become part of her own internal rhythms now, even though she protests every time I give her a gardening chore. In my experience, teaching kids to care for a garden is an essential, compassion-building opportunity. The slow magic of helping tiny, ordinary-looking seeds grow into a feast-worthy harvest can inspire incredible life lessons. And tending a vegetable garden year-after-year can be transformative. Whether you garden in pots on a sunny ledge, in a community garden, or in your backyard, your kids will carry the experience with them for a lifetime in the form of three essential lessons. When kids are invited to help out with the family garden, and when their garden chores are doable and fairly regular, they will develop a sense of stamina and grit that will help them meet challenges throughout their lives. Back in my South Dakota farm girl days, "go weed the garden" was a dreaded, but non-negotiable request. I remember trudging out there, my flip flops sinking in fluffy black dirt, my hair sticking to my sweaty forehead as I tried to separate the baby bean plants from the insidious crabgrass. I also remember my excitement later in the summer when it was time to pick those beans. I loved the crisp, summery crunch in my mouth. I still do. A successful garden requires work. You have to get your hands dirty. You have to give up a few sunny, sunset evenings to tend your plants. But the results are so much tastier, more tangible than any other activity that the lesson sinks in more deeply: persistence pays off. Growing your own food is magical, especially for young children. But this magic comes with quite a lot of waiting. Waiting for the spring to come or the rain to go or the seeds to sprout. Because there is no way to hurry things along, this waiting teaches little gardeners how to respect the pace of living things. Wild raspberries grow along the trees behind our house. My kids have learned to watch and wait as the berries ripen. Their patience must be active. They must check the berries every day as they ripen because once they are red, the race is on. If the kids want a taste, they need to beat the birds and the bugs to their prize. Gardening is slow work, lasting all summer long. Yet little gardeners learn to patiently look for wonders between the planting and the harvest. They learn to watch for incremental changes, like celebrating the day when hard green raspberries ripen into sweet red treats. To care for others, you need to notice their needs and their experiences. Compassion at its heart is mindfulness. Tending a garden inspires this mindful awareness, partly because working in the garden is such a complete sensory experience. The feel of the soil, the scent of the flowers, the sound of the birds all work together to command your attention. Plus, as the season wears on, a good gardener must be watchful for bugs, for drought, for pests. These needs are simple but they are ongoing. Planting our garden has always been my kids' favorite spring task. It's a time when all three of them are engaged and focused on the effort at hand. My older daughter now teaches my son how to "tuck the potatoes in" with the soil and "give the bean seeds a little more room." She uses my phrases automatically, describing these vegetables-to-be like old friends that need our help. Tending a garden is an act of love and mindful awareness. The practice of noticing and responding to the needs of your garden will set the stage for a lifetime of noticing the needs of those around you. These essential life lessons – persistence, patience, and mindfulness – are in addition to the incredible nutritional benefits and health effects of growing your own food. At Doing Good Together™ we love to find ways to make a difference, not occasionally, but regularly, as part of the hobbies and habits we already pursue. Here are four easy ways you and your little one can make a difference with this summer's family vegetable garden. Four easy ways to do good with the family garden. 1. Get those little green thumbs dirty. Pre-K gardeners can sow seeds (parents, be cool with crooked rows), water plants (after seedings grow up a bit), and harvest (read: taste). Elementary-aged gardeners can take some initiative if given the chance. Assign them their own pot, row, or flower bed. Then help them recognize when their plants need weeding or watering. Tween and teen gardeners can obviously take on additional challenges, but they may be less motivated by garden magic and dirt than when they were younger. Give them the opportunity to get creative, with a pizza garden, salsa garden, or one of the other ideas from this great list from Birds and Blooms. 2. 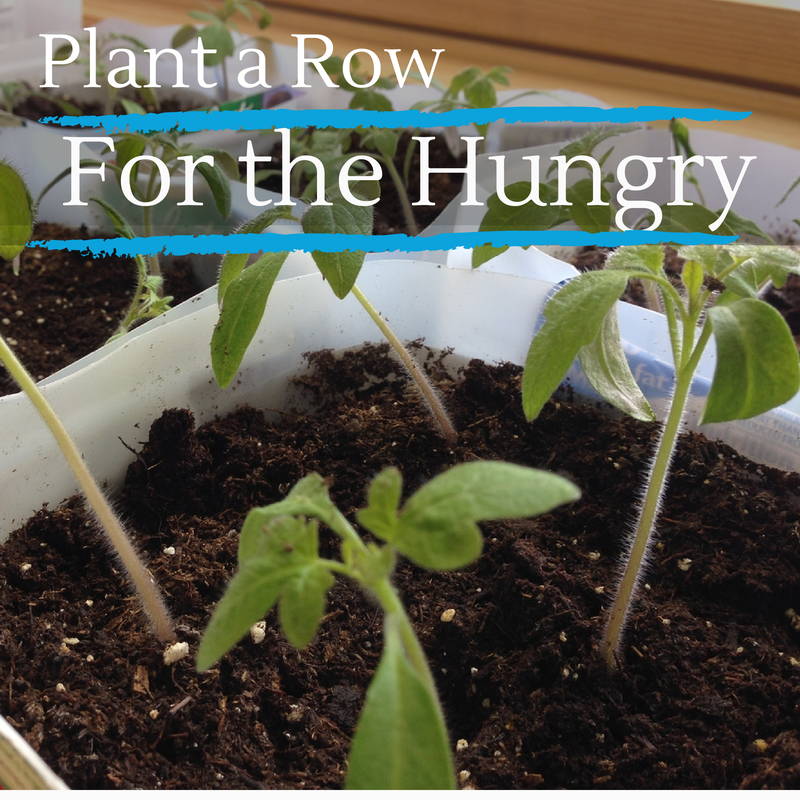 Plant a row for the hungry. Help struggling families in your community by sharing your bounty. Find instructions here. Make the most of your gardening experience by gifting some of your harvest to a nearby food pantry. Those extra green beans and tomatoes can make a big difference to families working through hard times. 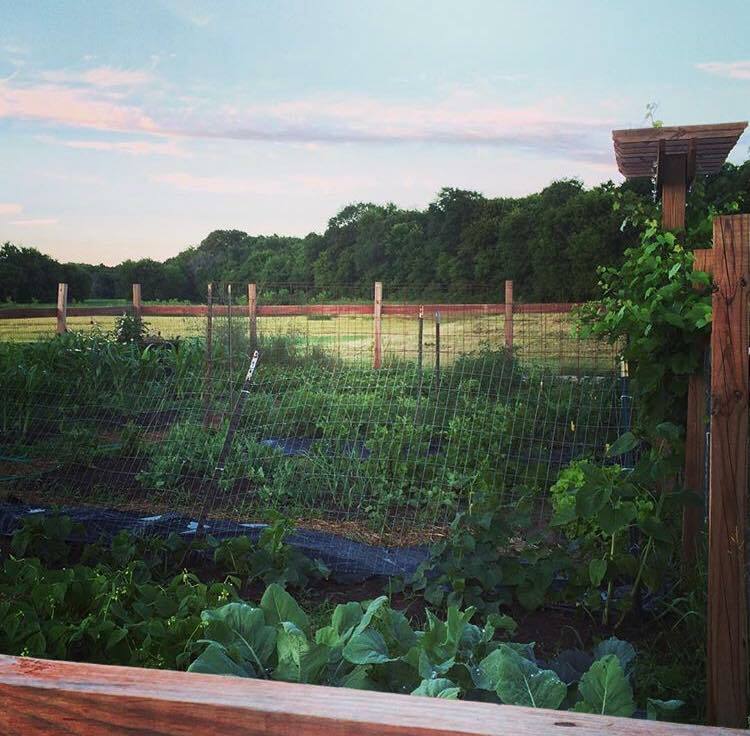 If you find this summer's garden project fulfilling, consider taking it further by applying for funds from our friends at Katie's Krops Garden in the fall. Youth selected as Katie’s Krops Growers are empowered to grow a healthy end to hunger in their community and positively impact the health of their cities and towns. 3. Join (or start) a community garden. The American Community Garden Association has created this handy map to help you discover a community garden in your area. They'll even walk you through the steps of creating your own if you don't have one nearby. Have you heard about the guerilla gardening movement? Beautify your community, provide food for struggling pollinators, and share a random act of garden-inspired kindness by scattering self-fertilized wildflower seeds in a public space that could use some love. Visit our friends at Plantables and discover their incredible line of eco-friendly seed bombs. Or create your own with this easy How-To article from the Gardenista. 4. Grab a garden-inspired book for story time! Here are three incredible titles that will help your kids learn the essential life lessons of gardening even before they get their hands dirty. The Littlest Gardener by Emily Hughes is a fairy-tale-style celebration of persistence, team work, and tending nature. Two Old Potatoes and Me by John Coy is all about family, patience, and change. A Place to Grow by Stephanie Bloom reminds us all to appreciate our unique gifts. American poet and novelist May Sarton once wrote, " Everything that slows us down and forces patience, everything that sets us back into the slow cycles of nature, is a help. Gardening is an instrument of grace." If we give our children the time and opportunity to spend some of their summer experiencing the slow rhythms of a vegetable garden, they will draw from that grace for a lifetime.